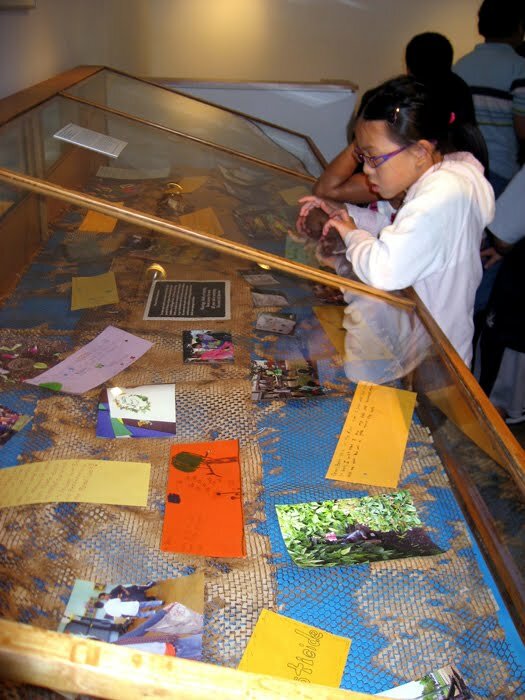 Yesterday the ArtStarts gallery was visited for a second time by a group of 3/4 students from Graham Bruce Elementary, here to view a display about their completed project Flutter, Hum, Buzz: An Artful Garden Party. The project was the result of an artist residency by Lori Weidenhammer, who helped the students to learn that art is more than painting and sculpture, and that the raw materials for artistic expression can be found all around them. 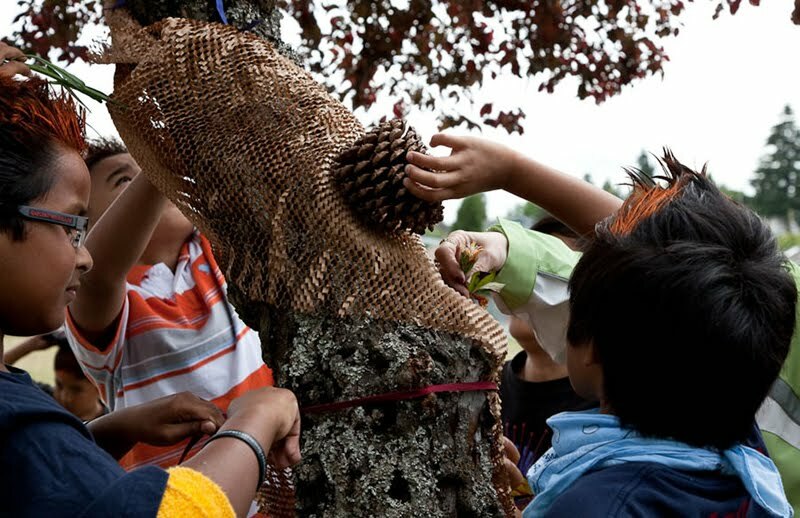 Students gathered natural materials they found on the playground and made them into temporary ephemeral works of art. They also reinterpreted their school grounds with dramatic narratives and songs, which they performed at the public unveiling of the school’s new peace garden. The students were excited to see the display, which is part of the ArtStart gallery's new exhibition: Creative Connections. For more information about what's up at the gallery, please visit http://artstarts.com/artstarts/exhibitions.html.